Accounts? Audit? Relax, Murray Taylor will take care of all the tedious bits! No matter what type of business you have, it will have to meet with legal requirements to produce accounts and submit a tax return. Many of our clients are perfectly able and willing to maintain their accounting records throughout the year – including dealing with VAT and payroll requirements – whilst others may be brilliant entrepreneurs and don’t want to have anything to do with “the paperwork”. Either way, as Chartered Accountants with offices in Montrose, Arbroath and Dundee, Murray Taylor will take care of all the tedious bits when it comes to accounts, audit (if required) and corporation tax and the burden of complying with your end of year obligations. …and we’ll help you to get it all done and filed within the legal time limits. Audits used to be the expensive, unwanted burden of all companies, however small. Whilst small independent companies can now do without this “luxury”, larger companies – as well as some smaller ones which are members of larger groups – are still required to have their annual accounts audited. If your business falls into one of those categories, we would like to help make the process as pain-free as possible for you. But don’t think of the audit as just a legal requirement – they can be a positive experience too. As Registered Auditors in Scotland, when we carry out an audit, we always take the opportunity to look out for any areas of weakness in your business and advise you on appropriate remedial action. Looking as closely at the business as we are required to for audit purposes often enables us to spot potential and opportunities which have not occurred to the directors, and when that happens, the audit can pay for itself many times over! Corporation tax represents a substantial cost to a successful company. What’s more, the increased reporting obligations, robust investigation powers given to the tax authorities, and harsher penalties for non-compliance have all raised the stakes in getting the figures right. 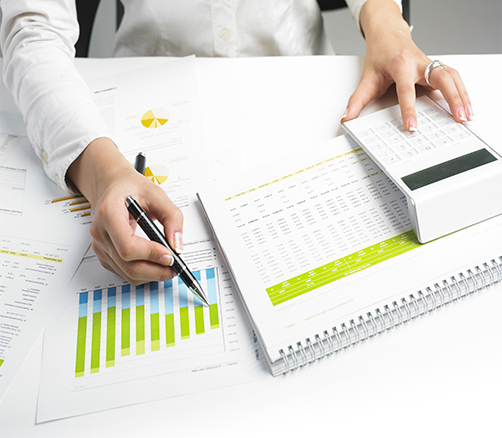 Efficient corporate tax planning can result in significant improvements in your profitability.